Usually we leave the Mystery in a Mystery box, but on this occasion we are letting you into the secret as we expect this will be a tremendous gift idea, and who buys a gift for someone not knowing what it might include?? 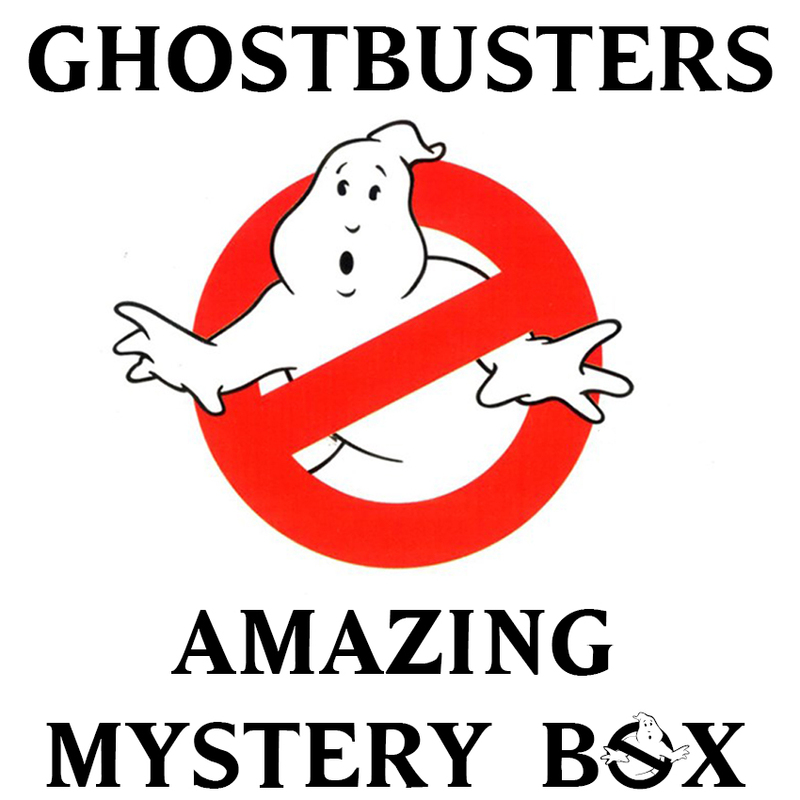 We have lifted the lid on this special mystery box which includes 7 great items for the Ghostbuster fan and represents our usual amazing value for money. It will generally include TWO talking Ghostbusters 6 inch plush soft toys, an illuminating Ghostbusters action figure, a Slimer wallet and keyring, blind surprise Ghostbusters vinyl figure and a further blind bag, so there is a little mystery after all. Contents may vary slightly, but value assured. It should put a very definite smile on the face of the Ghostbusters fan and makes for an ideal gift.